As promised earlier here is first of the four small candies which I will offer in the month of May. To participate in this candy you need to complete the instructions given at the end of this post before Monday 14th May 2012 when I will announce second weekly candy. 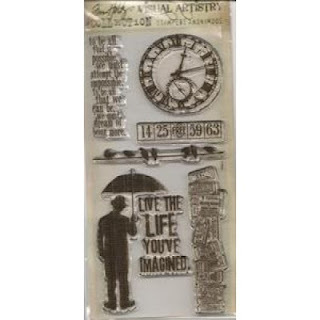 Tim Holtz Stamps are beatiful stamps ideal for Vintage effects but not only restricted to vintage, use Vibrant color inkpads and your projects will shine out. The winner for this candy will receive this 1 pack of this stamp pack. 5. Spread the word (optional, it will give you additional entry). done all aditya... posting it onto my FB and will blog it!! Thank you so much for a chance to win this awesome stamp Aditya...i have done all that's required !! This is awesome....I am your regular follower...Thanks for the chance to in...fingers crossed!!! I,m already a follower and like your FB page and I,ve posted this on my wall. Hi, thanks for the chance! Have done it all and shared on my fb page too! I'm already a Follower here. Have Shared & liked it on my FB. Also posted about it on my Blog sidebar. Thanks for the chance to win this awesome stamp set. amazing stamp up for grabs ! thanks for the chance to win ! 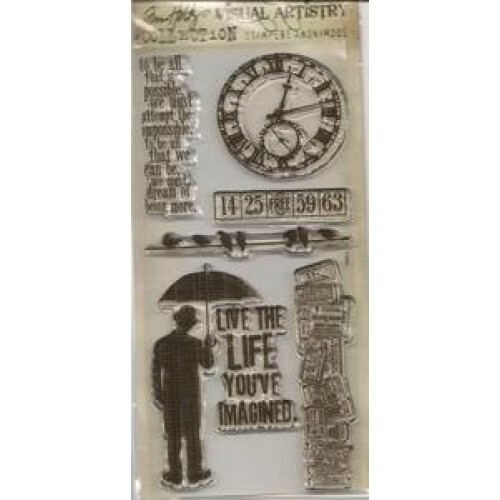 love timholts... thanks to imaginations online to make this amazing stamp sets available.